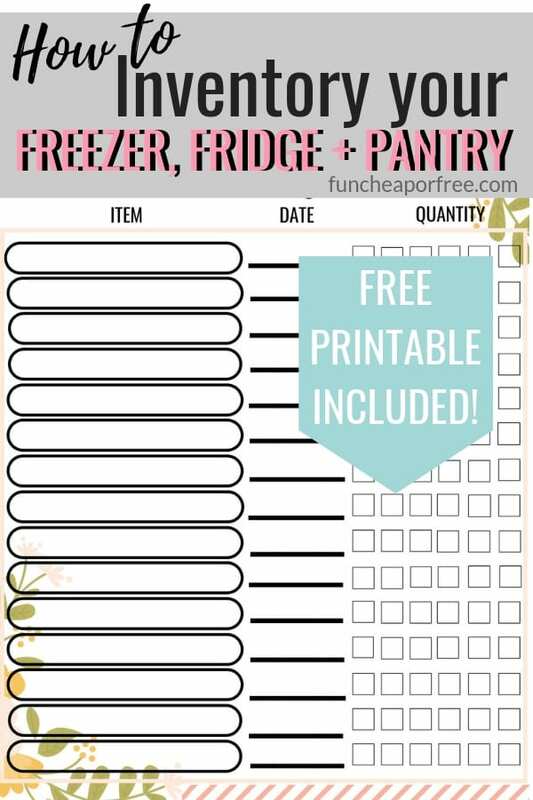 How to Inventory your Freezer, Pantry, and Fridge – FREE Freezer Inventory Printable Included! If you've followed me for long, you know I LOVE my freezers. Yes, plural. I have several of them, and they are packed to the BRIM with food. 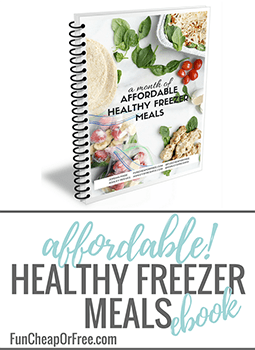 My freezers are one of the main tools that allow me to spend so little on groceries, and still make healthy, homemade meals for my family! 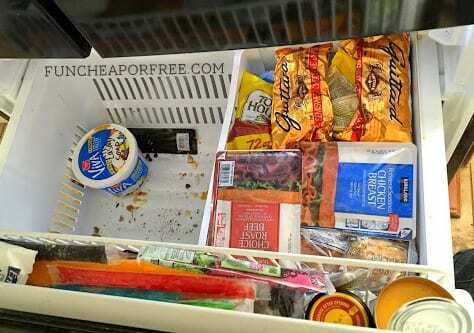 Aside from learning how to buy extra of food items that are on sale (to build that freezer stockpile), the real trick is to inventory your freezer so you know what's in there, so you can rotate the food regularly. 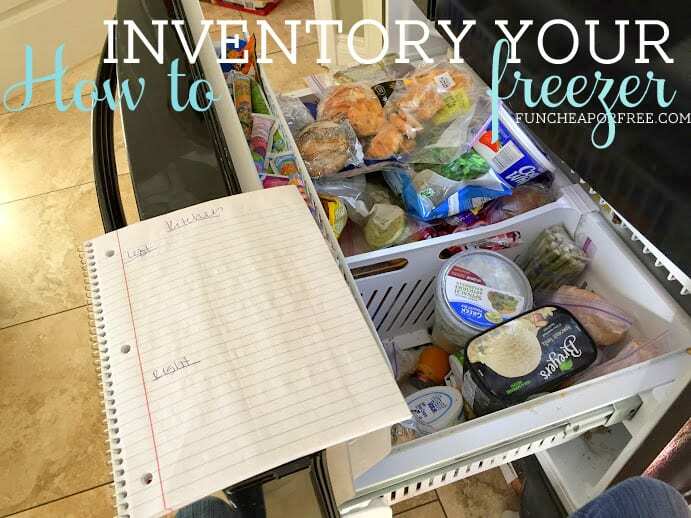 Lucky for us all, I recently cleaned out and inventoried my fridge, freezer, and pantry, and decided to show you not only HOW I did it, but to give you a FREE INVENTORY PRINTABLE to help you manage your food as well! 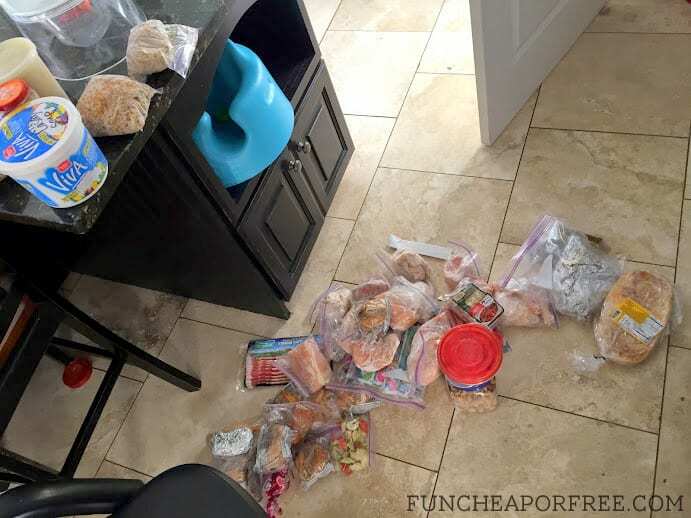 I choose one side or area of my freezer, and completely empty the contents to the floor. I keep a garbage can close by and toss anything that is super old, funky looking (or smelling), or something that we will never use and I wasn't in my right mind when I decided to keep it (like a 1/2 empty packet of ham glaze powder from LAST Thanksgiving. What the…??). Keep your stuff in a pile, it won't thaw out fast enough to do any harm to anything. But if you're worried, keep a cooler nearby and put the food in there. 2. Clean out the creepy gunk. Warning: No children or animals were harmed in the cleaning of this TOXIC DISGUSTING TOTALLY GROSS freezer. Seriously, EW…don't judge me by the toxic crud in the bottom of my freezer. Why is that Viva container still in there, you wonder? Because it was basically glued down by some unknown sticky substance that took me forever to clean out of the freezer. I took a vacuum and sucked out what I could, then took some heavy elbow grease and cleaning spray to wipe out the rest. 3. Put it all back, and write it ALL down! Start with the least-used, bulkiest stuff at the bottom. 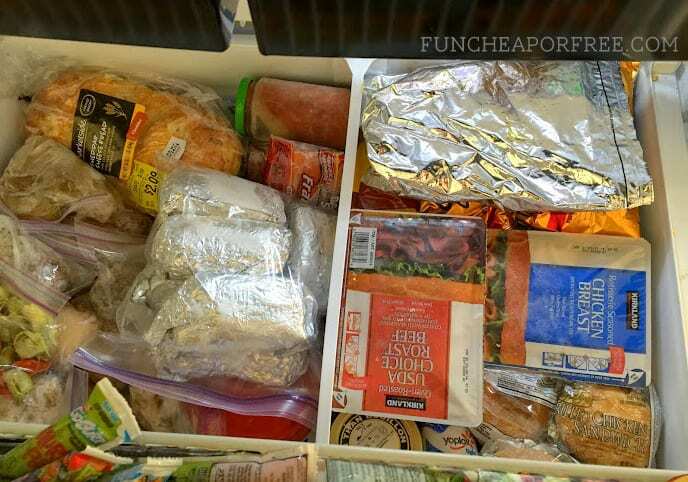 Left-side: Frozen meals/soup, meat, purees, salsa, etc. Right-side: Veggies, fruit, dairy, baking goods, lunchmeat, etc. 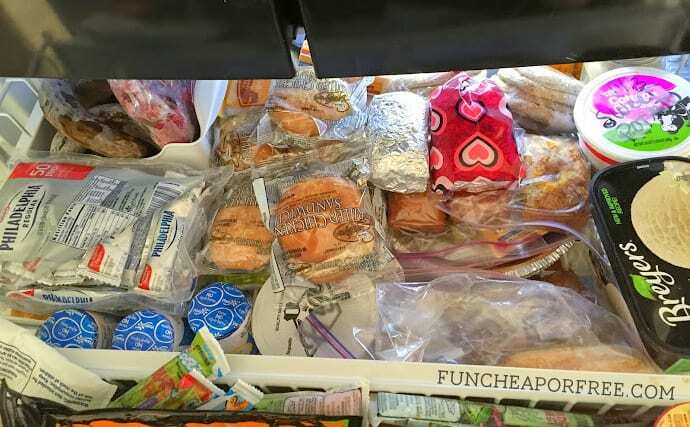 Top mini drawer: Small, random items, and items we use regularly; butter, cream cheese, string cheese and bagged cheese, yogurt, breads, frozen sandwiches, ice cream, etc. Write down everything that gets put back in your freezer, and make note of what side/area it's on. Try to write it down somewhat in the same order as how you put it back in your freezer. Be sure to note how many you have. I have 3 yogurts in the picture above (we use them in smoothies), so I would do 3 tally marks. As I use one up, cross off a mark. 2) using what you have in meals instead of buying new food at the store all the time. At the end of the day the purpose of having all this glorious food is to make your life easier and save you money…so USE IT! Plan your meals around what you have, especially on those weeks where money is tight. 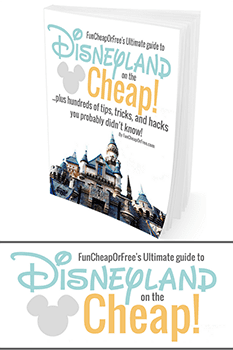 See my “5 simple grocery tips to save you thousands” post for lots of helpful links and ideas on how to do this well. Want to get reeeeeeal crazy? 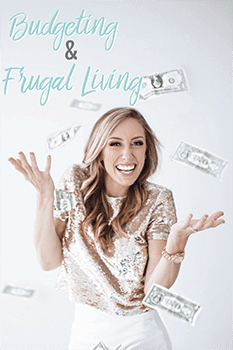 Now that you have all this newly discovered food in your life….do a one or two-week spending freeze! It will not only force you to use what you have, but it's a great way to save a LOT of money in a short amount of time. 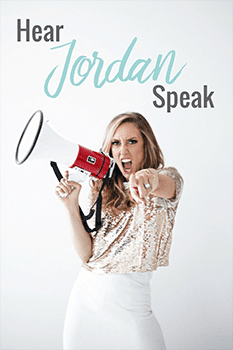 It's liberating, motivating, and empowering; like a juice cleanse for your body or something. In one week you could save enough money to completely pay for Christmas. Buy a few staples before the freeze, but otherwise don't spend a dime and focus only on what you have in your pantry/freezer! See about my spending freeze HERE. 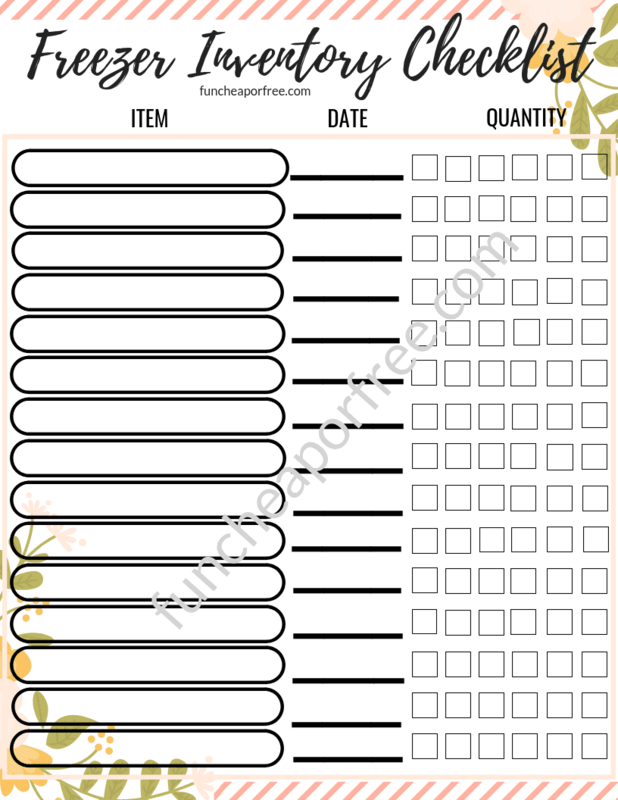 Get free (super cute) meal planning printables and a free freezer, fridge, and pantry inventory printable HERE, to help keep you organized in all areas of your kitchen. That's it! 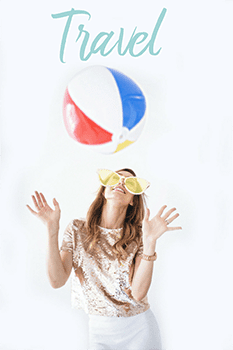 Super easy, super useful, super quick project that will make you feel oh so good. Now, get out there and enjoy having a romantic date with your freezer! The Block Schedule System! 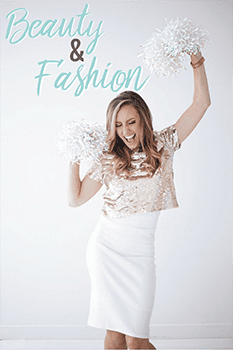 What it is, how it works, and how it will CHANGE YOUR LIFE! What kind of fridge do you have? I’ve been searching on your site for more info about your kitchen remodel, because it looks awesome, but I can’t find a post about it. We’re planning a kitchen remodel soon and I would love some tips on how to not spend a fortune. I mean, I know it’s gonna be expensive, but every cent counts, right? How are you supposed to use the quantity boxes on the right of the printable guide? This printable would be super awesome if there is a way to put it in an app and also have a widget option for your home screens!! Thank you so much for sharing! 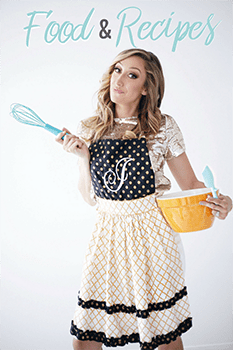 You can also freeze sugar, flour, biscuit mix, corn meal, oats, corn starch, baking soda and powder. I peal my bananas before freezing – they are ready to go & look nicer, too. 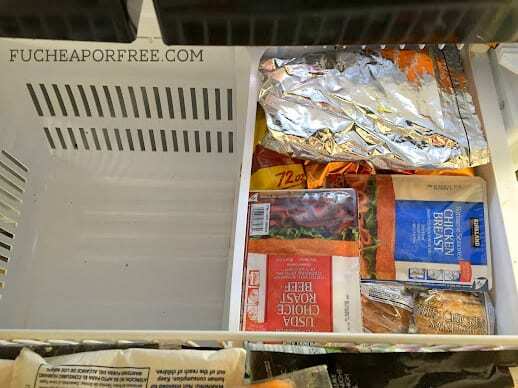 Also, instead of writing down your freezer inventory, use the voice recorder on your phone or snap some pictures – it doesn’t interrupt the flow of cleaning and sorting as much, and you can get your stuff put back faster. Then be sure to transcribe the information from your phone immediately. Thanks so much for these! I am constantly buying things and then discovering that we already have it! Just went through my freezer with this list! That is so great to hear! Yay! My husband and I have a chest freezer so things get lost in the bottom. We thought we were almost out of hamburger last week so we did this to make new meal plans and found almost half of our hamburger at the bottom. I forgot I had layered it when I packed it all in! Saved me a ton of money! Thanks for the inventory reminder! Great ideas! Time to use this to organize my fridge! Thank you! I just did this a few weeks ago (made DH help, lol) and I discovered so much food I had forgotten about. I now have a list on the fridge and have been cooking more from what we have. It’s been saving me loads of money already. I just HAVE to ask this… are those baked potatoes in foil in gallon sized bags?!? I didn’t know you can freeze baked potatoes (if that’s what those are). If that’s what they are please tell me your ways because I LOVE baked potatoes but I hate making them with how long they take to bake (or how hot my house gets in the process). So do you just print one out each time or reuse it somehow? I was going to say maybe laminate but, then the writing may come off. Would hate to have to re-print every time I organize food. Laminating it would be best. You can just use wet erase markers, that way it only comes off with water!